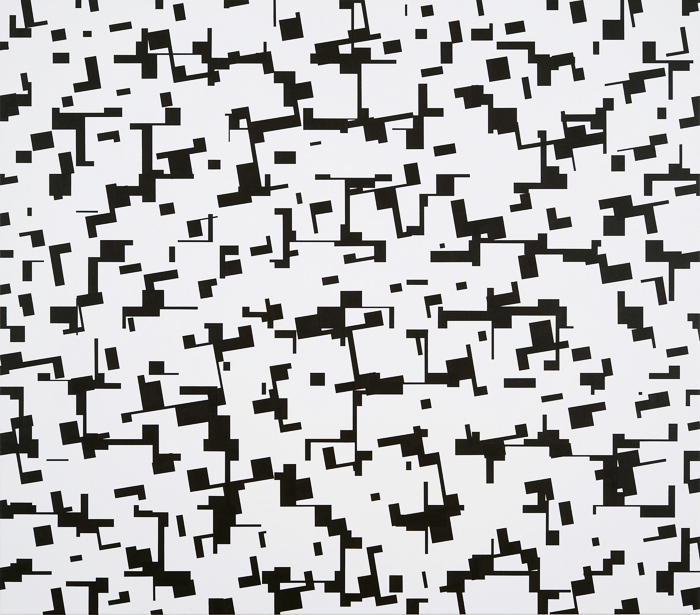 With a limited palette of black, white and grey, Austrian Abstract artist Esther Stocker explores aspects of perception. 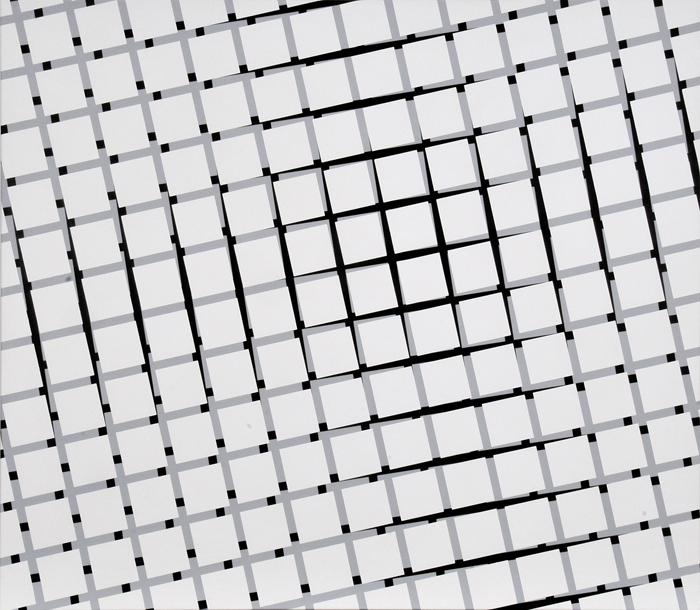 "There are many things to say about the notion of a "simple grid". In the case of painting it concerns the equal distribution of parts, and in this respect is an expansive structure. 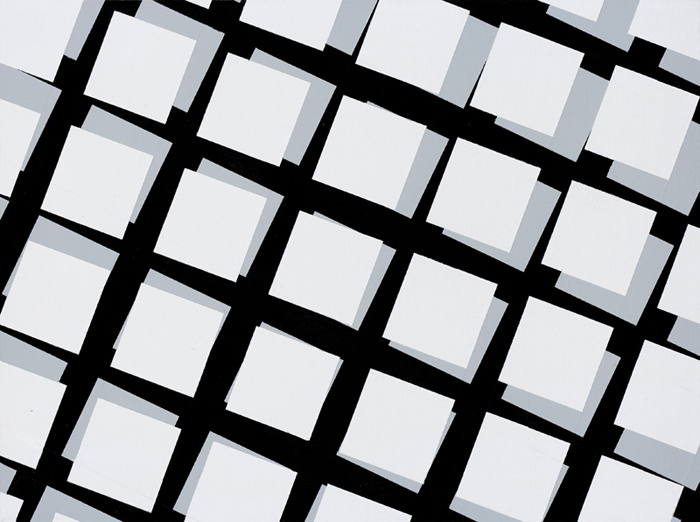 The grid allows a nonhierarchical image-organisation and plays an important role not just in architecture, city-planning, construction etc., but also as a tool for the distinction in a simple figure/ground scheme which leads to the discussion of relational questions: How minimal can the difference of brightness be to still reassemble some parts? Where is the point which connects the structure of the grid and where does it fall apart? The fascinating fact for me is the continous redefinition of things through the perception process, always linked to a larger field of meaning. 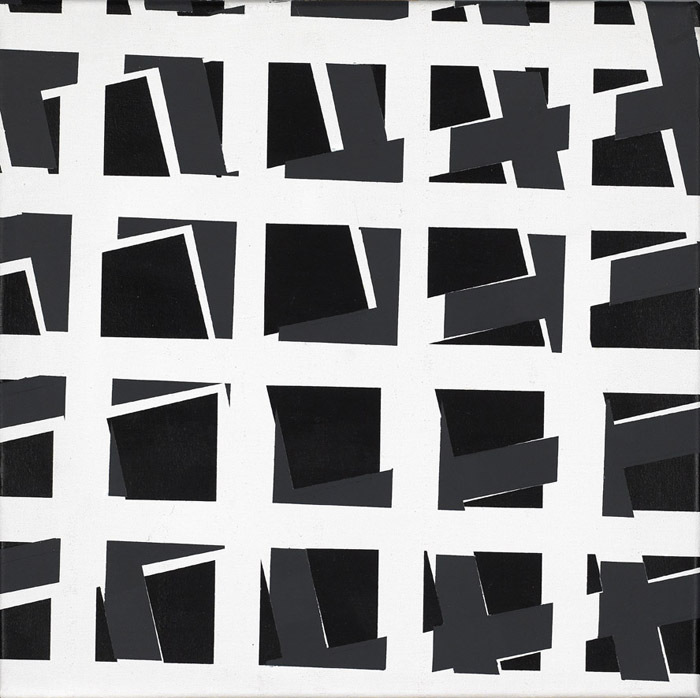 A certain feature or a paradox that appears in painting is the contradicting fact that grids and other arrangements of exact geometrical forms can lead to "vague" visual experiences. This can be caused through minimal changes within a regular structure. The reduction of visual constructs and their constituent elements helps to demonstrate specific interactions or relations inherent within those constructs."